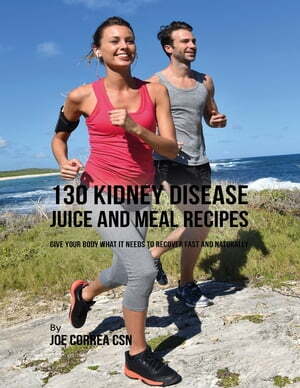 Collins Booksellers - 130 Kidney Disease Juice and Meal Recipes: Give Your Body What It Needs to Recover Fast and Naturally by Joe Correa CSN, 9781387302772. Buy this book online. Just like every other medical condition, kidney disease is closely related to a poor diet and an unhealthy lifestyle. Researchers have discovered numerous links between inflammation and some foods that are able to prevent chronic and degenerative conditions. Foods like bell peppers, cabbage, cauliflower, garlic, apples, cranberries, blueberries, raspberries, cherries, and grapes are rich in antioxidants that are able to neutralize free radicals and protect the body. These foods are the basis of a healthy, kidney-friendly diet and should be included in your meals and juices every day. The juice and meal recipes in this book will help you to treat and overcome kidney disease and live a healthier life.